« OVFV Membership Drive – 50% OFF for New Members! Working in the Health and Human Services industry has lots of demands on your heart, mind and soul. 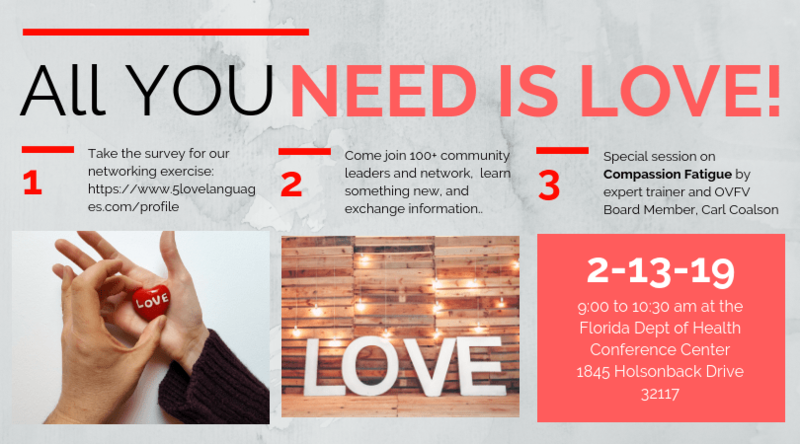 Come join 100+ of your peers and recharge through a mini session on Compassion Fatigue, identifying your personal love language and networking with inspiring colleagues who want to collaborate with you! Immediately following will be the 5th Annual Jackie Robinson Friday Night Done Right Planning Committee meeting.